First Facebook, Now Twitter, What's Next? Over the past couple years few questions have been asked of me more than, “Tony, do you have a Facebook?” To which I routinely answered, “my dear, these hands cannot operate even a keyboard.” Clearly, there was no possibility I would be obtaining a facebook. With the evolution of social media and the impact it has played on our society, though, the time has come for me to establish a facebook. . .and a Twitter!. We decided that while I was establishing a Facebook I might as well go all out and establish the Twitter account as well. 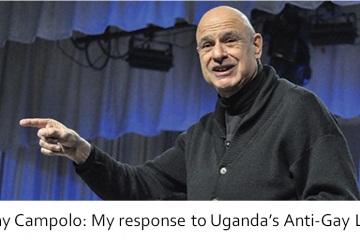 So for all of you who have been puzzled over this question for years you may now sleep easier, Tony Campolo has a Facebook and a Twitter! 1. To direct individuals to this blog. Through this blog individuals will be made aware of work going on for the advancement of the Kingdom as well as theological tidbits and relating current events. 2. For individuals and churches to be made aware of where I am speaking on a moments notice. 3. To network with people from all over the world about what we all are doing for the advancement of Christ’s Kingdom. I’m quite sure Facebook and Twitter will be used for other reasons as well but these are just a few of them. Please help me make these new resources a success! Check out my Facebook fan page and ‘like’ me! Follow me on Twitter as well!